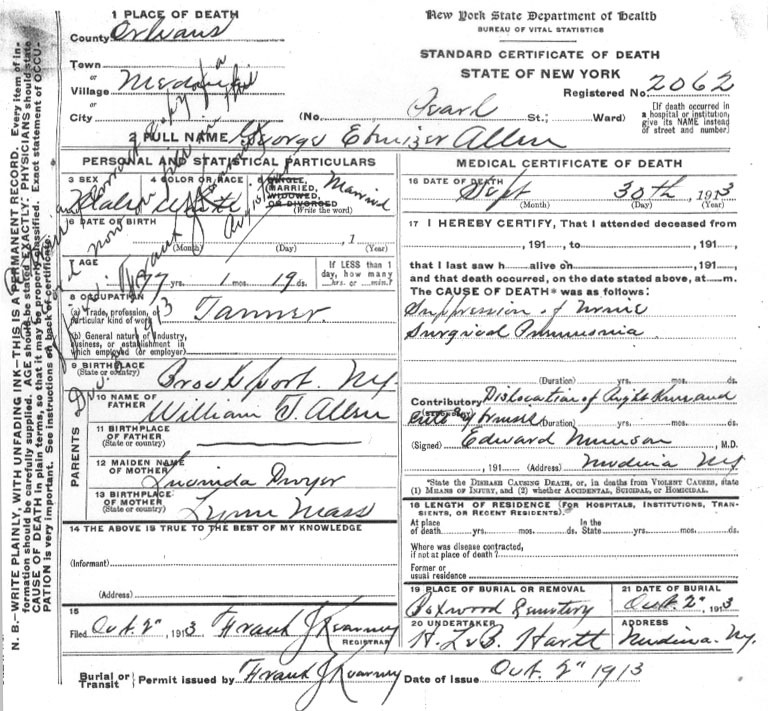 The image below is a copy of the official certificate of death of George E. Allen that was included in his pension file obtained from the National Archives. The file contained additional documents. Copies of the other materials are available upon request.